Many people in the insurance industry fantasize about creating a customer experience that rivals those of other categories, like retail, or that of specific companies, like Zappos. But some may say the fantasy is just that. After all, insurance and shoes are not the same when it comes to demand, so we need to set our expectations lower. It’s a valid point of view. Roger took impossible out of the equation by mentally visualizing that it was possible. This led to a series of behaviors and training that ultimately got him there. Then, once he broke through, many others did too. In sports, most would agree that mental attitude is the single most important key to success — it was the missing piece. 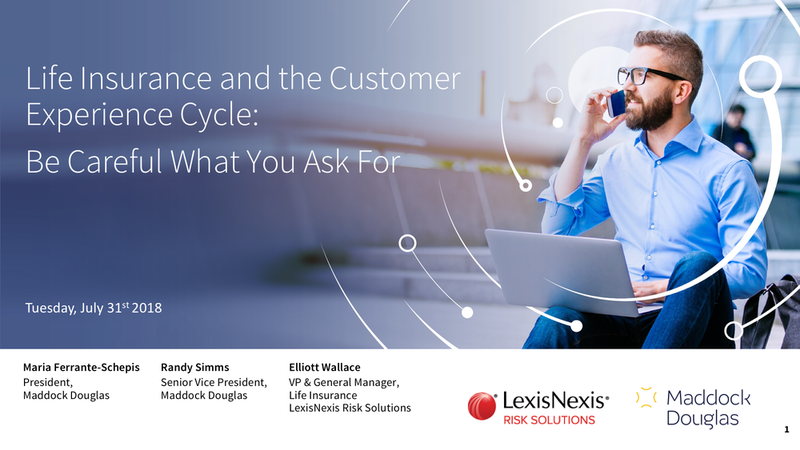 So how does that relate to the fantasy of a world-class customer experience within insurance? We need to first let go of the barrier of “impossible.” Check. That will give us the open mind to look at what’s truly happening within the customer experience in another way. A helpful framework for looking at the customer experience is the Experience Cycle, developed by Dubberly & Evenson in 2008. In this framework, a customer’s interaction with a product or service is broken down into five phases: Connect & Attract, Orient, Transact, Extend & Retain, and Advocate. Let’s look again at the contrast between products like shoes and products like insurance. The biggest difference between the two is demand: for the former, it’s already there; for the latter, there’s a need, but demand must be cultivated. Further, you can’t pay for insurance with just money like you can with shoes. You must also pay for it with two other currencies: information and time. Information is needed to assess the risk, and depending on what kind of insurance is being purchased, that can be quite extensive (e.g., personal financial data, credit data, health data). Then, if that information is not at the ready, it takes time to get it. I am not suggesting eliminating the need for data, since we know what happens when we take that out of the equation. Prices go up. Many attempts have been made to offer higher-priced products that require little or no information, but uptake results are generally not impressive. Rather, we need to help the consumer understand why we need this information, help them get it efficiently and in a more pleasant way — and perhaps give them something more immediate in exchange for it (e.g., feeding it back in a helpful report about what it means to their insurance rates and how they can improve). The part of the cycle that this activity falls under is Orient. The Orient phase is most often skipped completely by insurance companies, expecting people to go right from the Connect & Attract phase to the Transact phase. Then, when the consumer is hit with all these requirements, they get turned off and maybe even bail out at that point. This can happen in an online environment for sure, and it can also happen in a face-to-face sales environment if the agent hasn’t set that expectation correctly. How are my costs determined? How much will it cost? How much time and information do I really need to give? How will you use my data? Will it be used against me now or down the road? Credit Karma: Here’s a service that not only aggregates your various credit reports but also breaks your score down into key behaviors that help people understand how to improve their score, and how it’s used by credit card companies and lenders. Domino’s Pizza: The tension of not knowing what’s happening with your order or when it will arrive can be maddening when you’re hungry. So Domino’s created the “where’s my pizza” function, enabling someone to see exactly when it’s being made, in the oven, and in the car on the way. For users, knowing in advance that they will have visibility into the process is very comforting. RealAge Test: This test, taken by millions of people, engages the user in a series of questions and instantly delivers back a “real age” based on health and risk factors. For example, your calendar age may be 40, but your “real age” could be 38. This is a socially engaging way to help orient people around the behaviors that lead to longevity and health, while also leading them to understand risk factors. While the above are somewhat elaborate digital experiences, orientation can also happen with simple FAQs, videos, chat and many other easy mechanisms. This is an area to unleash your innovation team on for sure. The key is, we must fill in the missing piece. Orient is undernourished in the industry, and the uniqueness of the heavy data requirement means it needs even more love than if we were selling shoes. Proper orientation means the transaction has a much greater chance of happening.